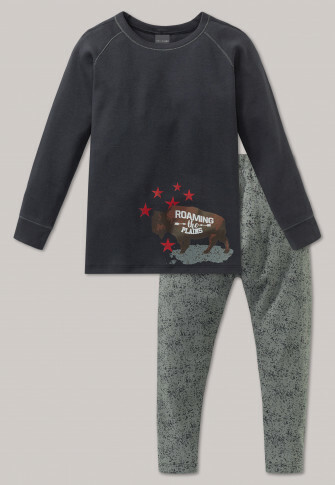 A cool, adventurous look meets 100% soft cotton in these boys' long pajamas. 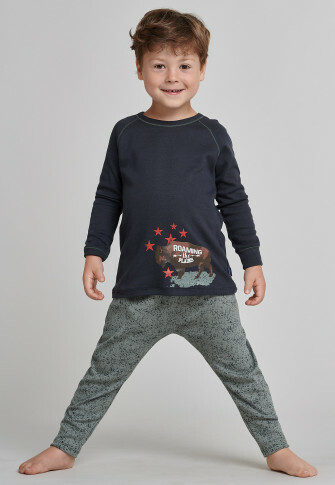 The big buffalo "Bug Buff" gives this anthracite-colored top a great detail that is perfectly complemented by the khaki-colored contrasting seams on the raglan sleeves. 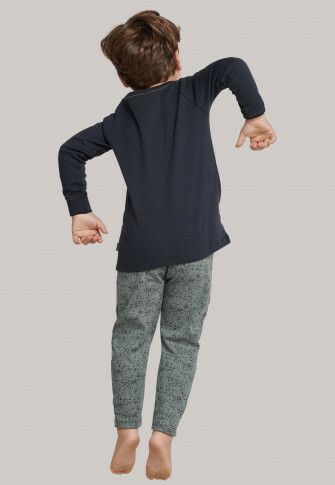 The khaki-colored jogging pants, together with their textured print and covered elastic waistband, go perfectly with the shirt. Just the thing for exciting dreams - in the best SCHIESSER quality, of course! from the SCHIESSER line "Big Buff"